A recent study (J-M Schwarz et al. 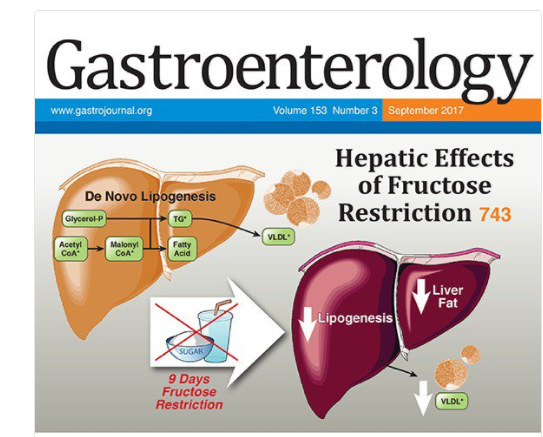 Gastroenterol 2017; 153: 743-52, editorial MB Vos, IR Goran Gastroenterol 2017; 153: 642-5 ) showed that restriction of fructose quickly improved fatty liver disease. The study is summarized in a recent AGA Journals Blog: Can Restricting Fructose Intake Reduce Fatty Liver Disease in Children? Jean-Marc Schwarz et al performed a clinical trial to investigate the effects of reducing fructose intake for 9 days in obese Latino and African American children with habitual high sugar consumption (fructose intake >50 g/day). 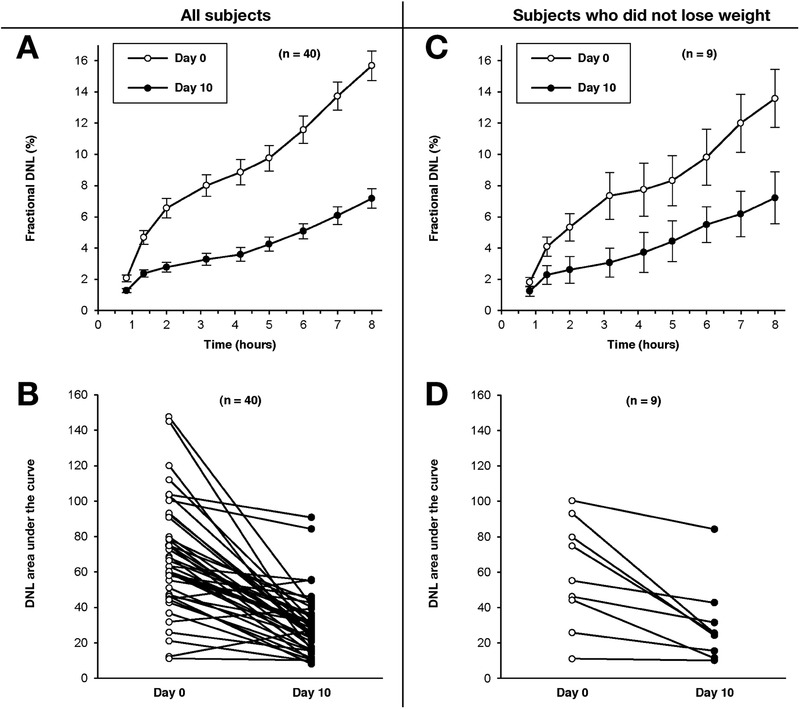 They measured the effects of isocaloric fructose restriction on de novo lipogenesis, liver fat, visceral fat, subcutaneous fat, and insulin kinetics. In their study, 41 children, 9−18 years old, had all meals provided for 9 days. The meals had the same energy and macronutrient composition as their standard diet, but with starch substituted for sugar, yielding a final fructose content of 4% of total kilocalories. 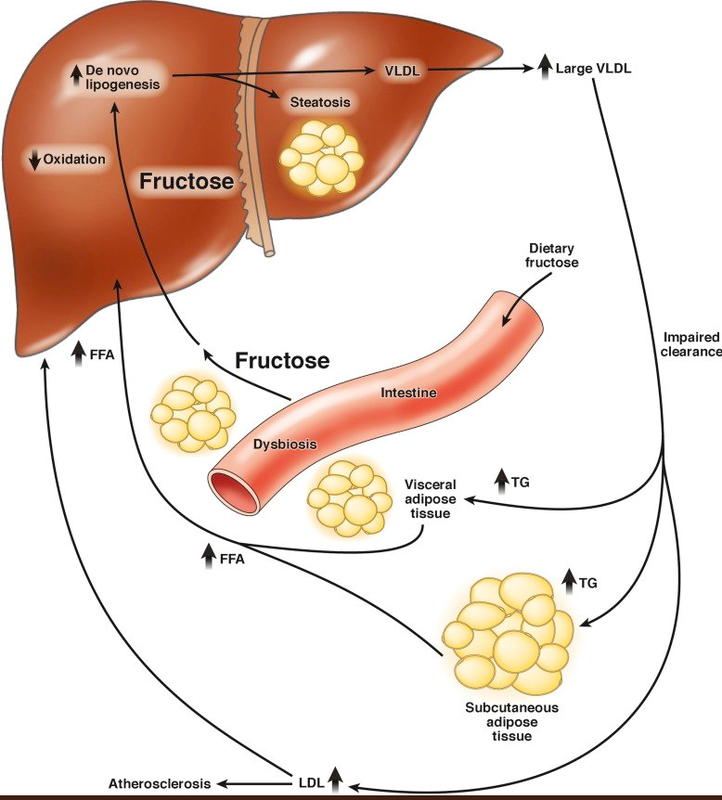 The authors measured metabolic factors before and after fructose restriction. They measured liver fat, visceral fat, and subcutaneous fat by magnetic resonance spectroscopy and imaging. 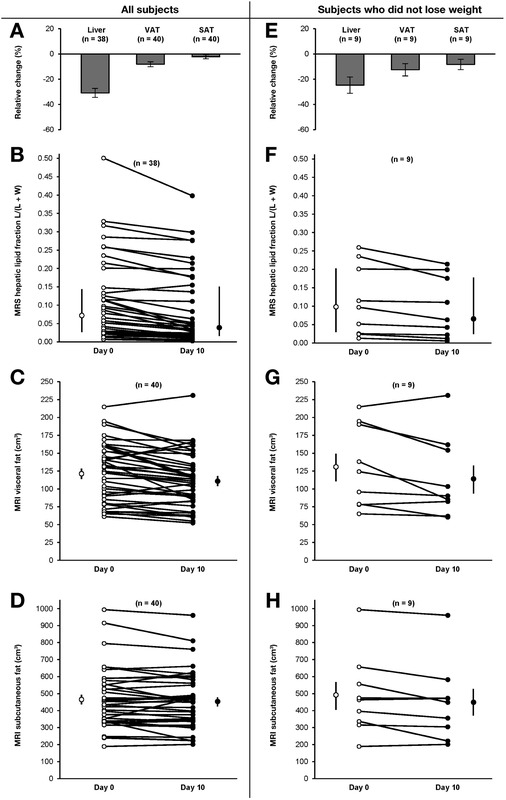 De novo lipogenesis decreased significantly after 9 days of fructose restriction; the de novo lipogenesis area under the curve value on day 10 decreased from 68% at baseline to 26% after the diet, in childen with low or high baseline levels of liver fat. In an editorial that accompanies the article, Miriam B. Vos and Michael I. Goran say that it will be important to determine whether the effects of fructose reduction are sustained past 9 days…Vos and Goran state that it is important for physicians, nutritionists, schools, and parents to find ways to reduce fructose in the diets of children and patients with NAFLD. This entry was posted in Nutrition, Pediatric Gastroenterology Liver Disease and tagged fructose, NAFLD by gutsandgrowth. Bookmark the permalink.